Eunji talked about the friendship between the members of A Pink. 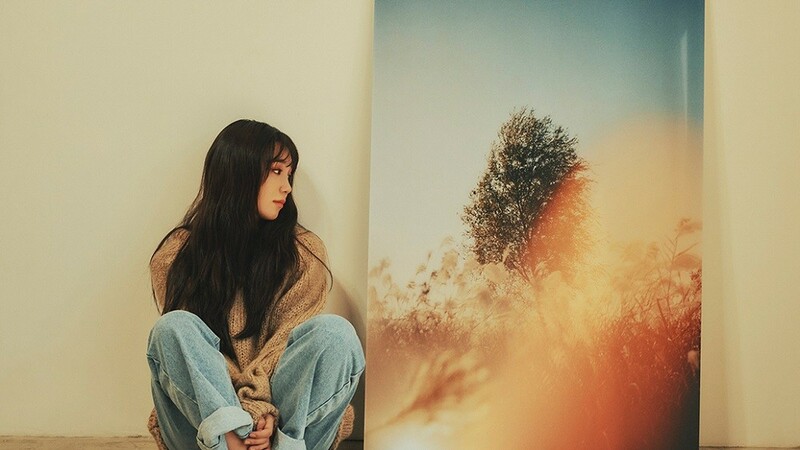 In light of her recent solo release, Eunji sat down with 'MyDaily' for an interview that looked back on all the years she spent as an idol and as a singer. Talking about A Pink, Eunji immediately shared how the girls have "never gotten into a big fight over the last 7 years". Especially because everyone in the group "has such careful (mindful) personalities", there was never a time for a real fight to erupt. As a matter of fact, Eunji also revealed how sometimes it was actually "more difficult" because the girls were always so considerate of each other. "To be honest, I even felt uncomfortable at first. Instead of discussing things outwardly, we kept all the feelings all inside of us, individually. It took a long time for us to really talk about certain internal thoughts," said Eunji. However, the girl group member singer-songwriter added, "Now that we have spent 7 years together, there aren't actually that many secret 'data' piling up among us. We know that this person doesn't like this one thing, but that other person does, for example. So, we don't even have to use words to communicate anymore." Sounds like a solid friendship, coming from a long-lasting girl group! Their APINK 'wholesome' K-pop Concept and SUCCESS level with it, surely helps the members to get along too. If the MONEY is fairly good, mostly people can find a way to keep their 'personal friction' at a reasonable level. But NOT always no question. And SON NA EUN (member) did her somewhat 'break out' popularity with PSY and Fashion Shoots in a somewhat delayed manner. I will guess that all the members of APINK Group are doing fairly well in their MONEY EARNING situation at this point. Some a bit more than others, no doubt. To me that's friendship goals. Being respectful of each other and not causing trouble.